I have already written a Full Review of the exhibition itself, but here is a more targeted write-up focusing on the items of interest to a Third Doctor fan and giving them a more detailed look. 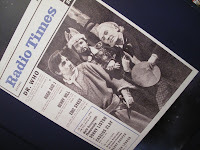 As I don’t run a blog for the First and Second Doctors, I’m including them here - after all, they appearing in The Three Doctors all together! 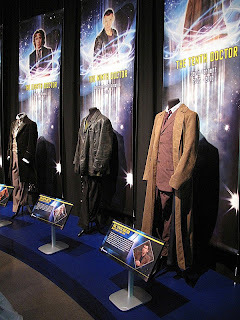 Although the thrust of the exhibition focuses on the current Doctor, with Matt Smith providing some personal input, there are still a few things here of interest to a fan of the origins of the series. 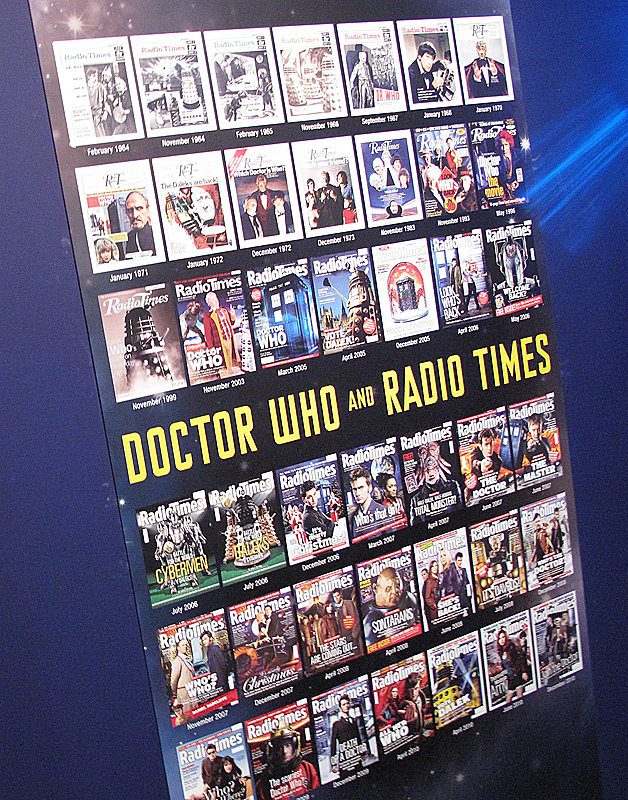 The show’s first ever cover, during Marco Polo is alongside a reproduction of every single Radio Times cover since. 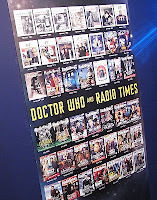 The four Hartnell ones can be seen on the top row. 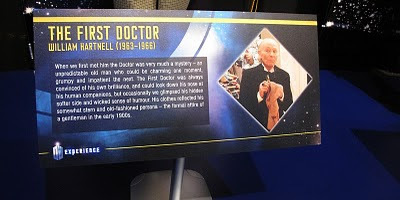 Moving onto the display of Doctor costumes, William Hartnell is first in line, though sadly nothing of his original costume has survived. I imagine a lot of it was made up or stock items from Angel’s many thousand clothes, and after he left the series these merely went back into stock and faded from notice. 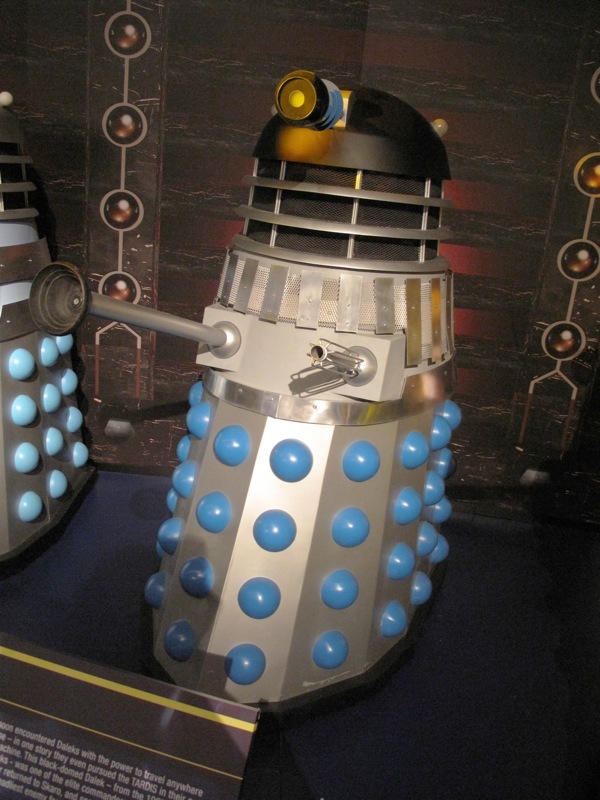 A similar fate fell to Ben Kenobis cloak from Star Wars which became mixed up with similar clocks labeled as monks cassocks. 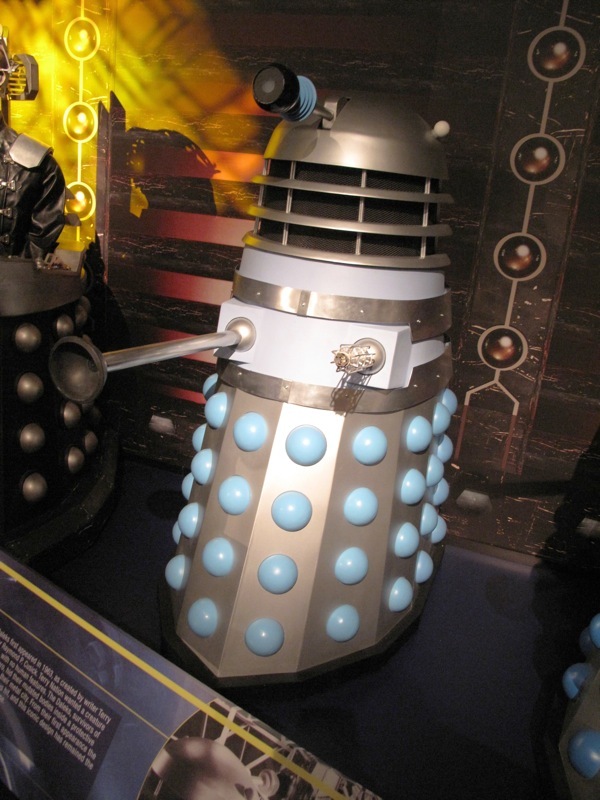 It was only recently that it was identified and sold at Bonhams for over £20,000!!!! 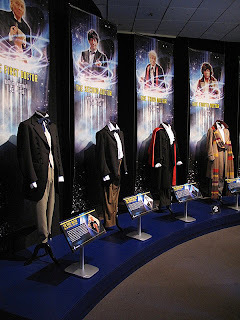 That said, what is on display is a good as assemblance of similar stock items, though I think the check on the trousers is too fine and the replica waistcoat is not a match to the tapestry version he wore. Moving to the Monster Zone, there are a couple of classic adversaries represented. A replia Cyberman head from The Tenth Planet leads the Cyber display, and a perfect replica of a Dalek from their first outing in 1963 stands proudly alongside the new series version of Davros. The Second Doctor’s representation follows the First’s, with a blow-up of the cover to Tomb Of The Cybermen. 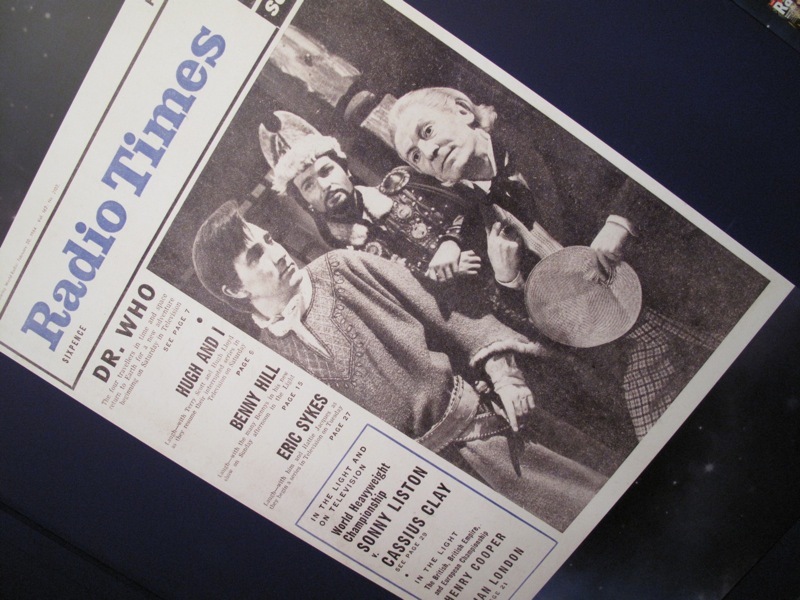 This was one of only two times he made the cover. 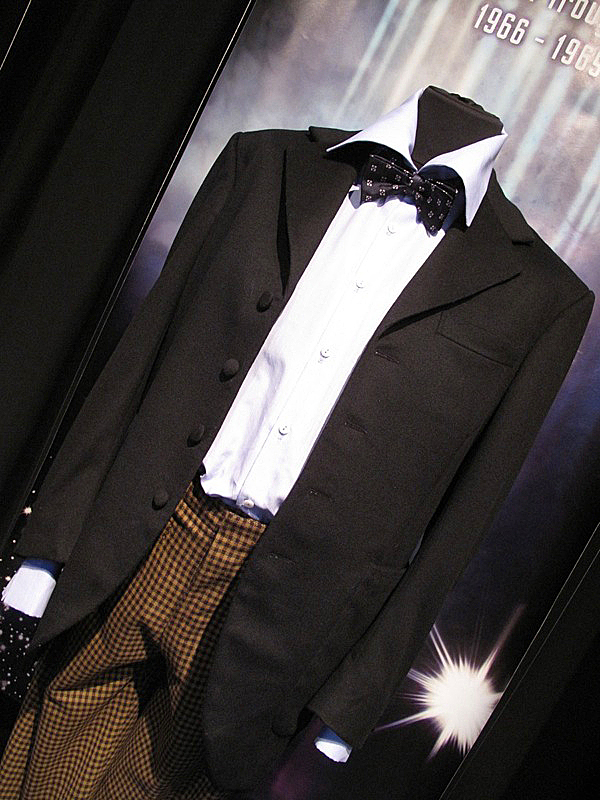 As with The First Doctor, the Second Doctor’s costume is long lost, so another replica stands-in. 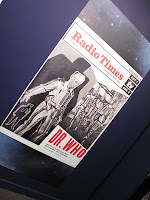 Personally I think it is very good, and has all the key design points needed, but it just feels a bit too crisp and trim. 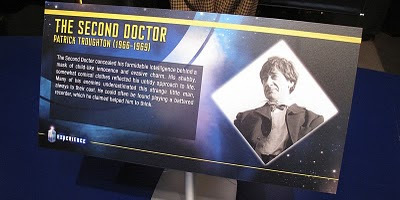 Patrick Trougton’s Doctor was undoubtedly the scruffiest, and it doesn't quite come through here. 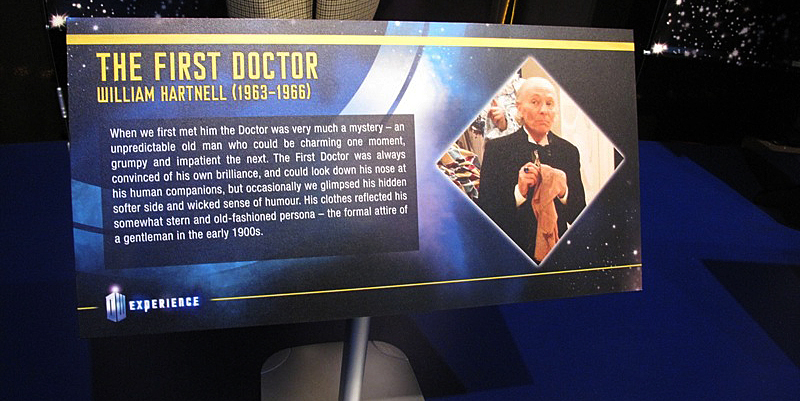 Oh, and where’s his trademark paisley handkerchief that is supposed to be hanging out of the breast pocket? 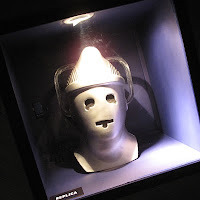 Returning to the Monster Zone, a Cyberman head ala The Moonbase is in the next alcove from The Tenth Planet version, and a leader Dalek as seen in Evil Of The Daleks is next in line at the Dalek display. 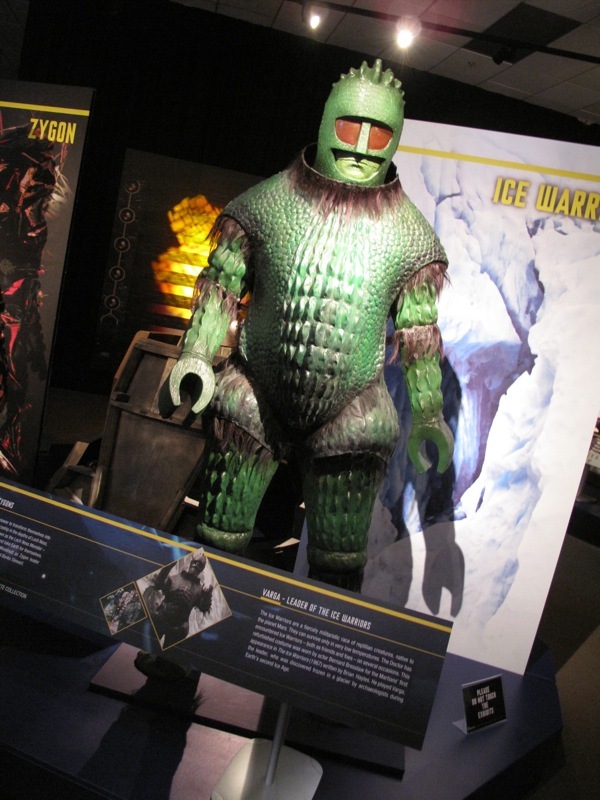 Elsewhere, a Millennium FX recreation of an Ice Warrior stands with the rest of the Doctor’s foes. 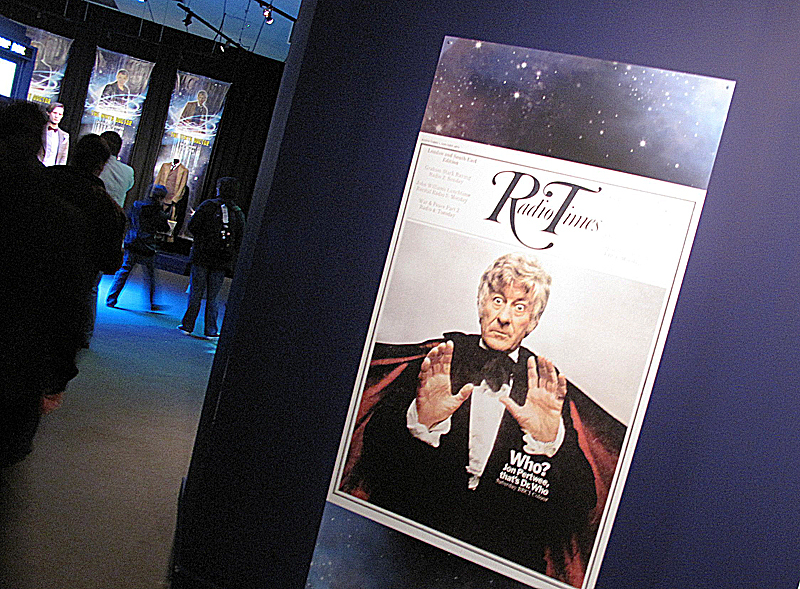 The Third Doctor’s Radio Times cover is from the launch of is first series, and was he first of record number (for classic series) five covers. 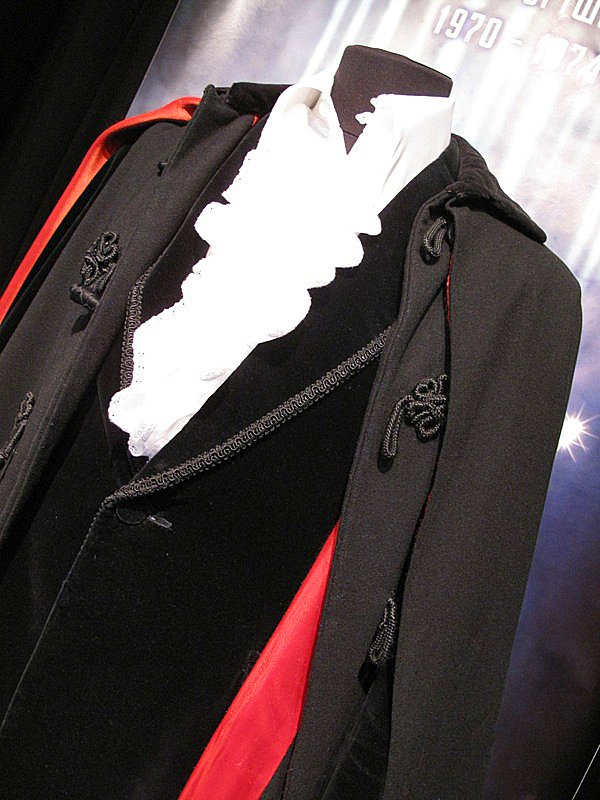 I am told the costume on display contains the first of the screen-used pieces, which I assume is the Inverness cape. 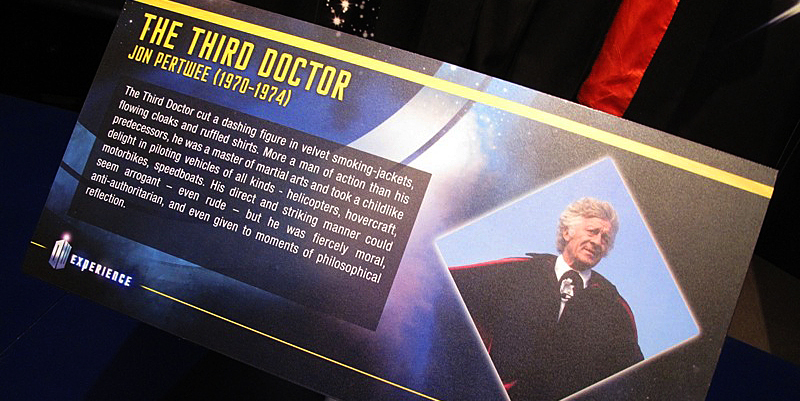 The jacket looks to be the one sold at auction recently, which does not match any that Pertwee worn for his run, so I don't think that is original. It does look superb though. Despite providing a golden era for monsters, the only Third Doctor for on display is Linx from The Time Warrior, which was a shame. 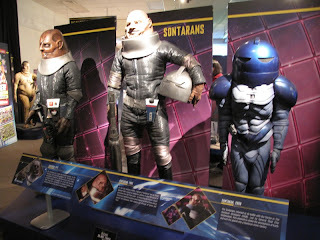 Where’s a Sea Devil, an Ogaron or even a Draconian when you want one? 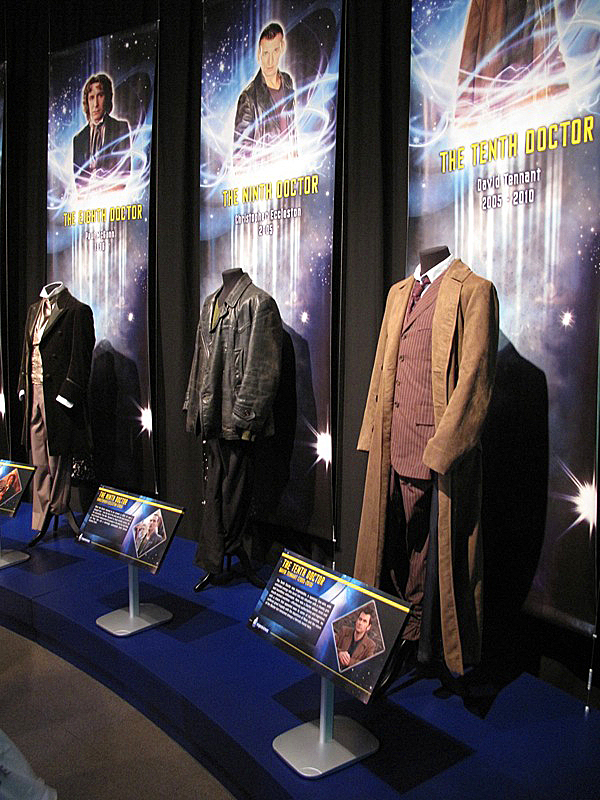 Oh, I would mention one other related item on display, but since it is in the interactive part of the show, I wont spoil it. 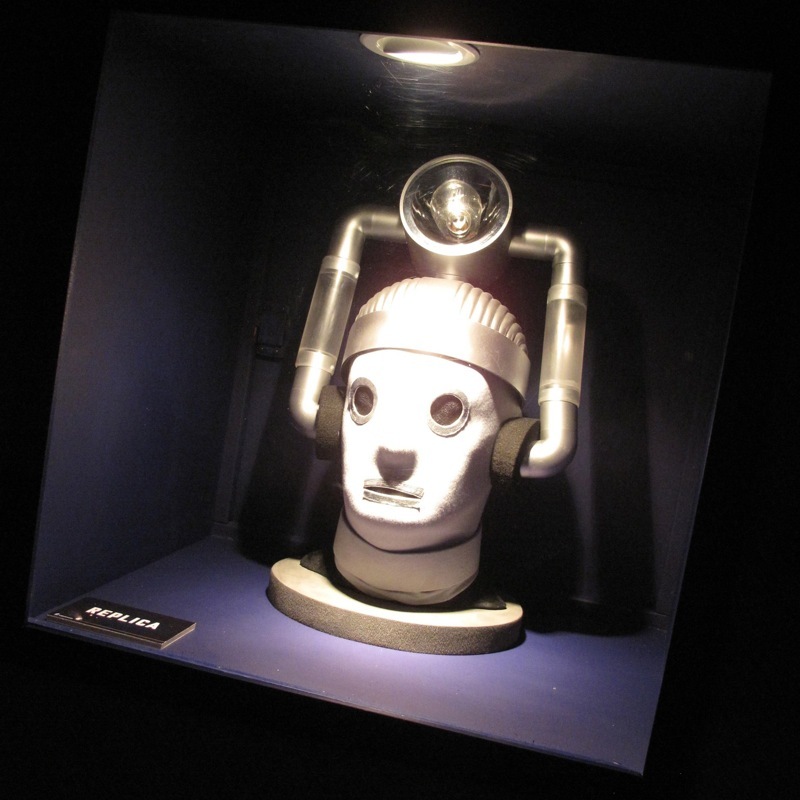 But do look out on your right hand side as you enter the first room when You go in . . . . .